THIS IS A PUBLIC SERVICE ANNOUNCEMENT… THE D.O.D. HAS REPORTED MULTIPLE SIGHTINGS OF A MYSTERIOUS ILLUMINATED BEING ALL ACROSS THE NATION AND BEYOND, INCLUDING MULTIPLE SOCIAL MEDIA TAKEOVERS. PLEASE BE ADVISED AND PROCEED WITH CAUTION. THESE BEINGS, REPORTEDLY IDENTIFIED AS LUXEN, ARE KNOWN TO CONFUSE THE SENSES WITH THEIR IMPOSSIBLE GOOD LOOKS AND FIERCE DEVOTIONS. Hold on to your Obsidian shards ladies, ’cause it’s about to get all Luxen up in here. Whew!!!! Did I tell you, or did I tell you! Holy mother of all HAWT alien babies! Personally, I watched this trailer like 20 times at least. That one sort of sideways kiss…. Oh dear GAWD makes me want a Luxen of my very own. 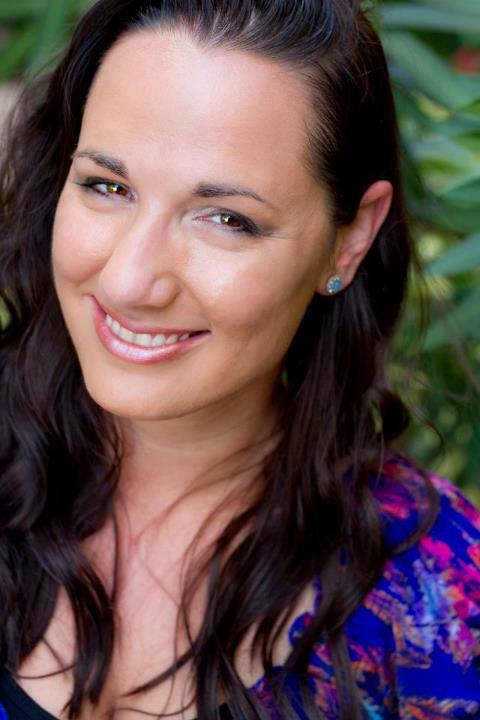 As you know, The lovely and UBER talenten Jennifer L. Armentrout is the goddess who has brought us Daemon and Katy. Isn’t she pretty? Don’t you just want to hug her and say, “Will you be my friend?” Just me? Oh crap. Like her — follow her — stalk her…it’s all good. She’s game. SHOULD YOU BE IN NEED OF ANY OFFICIAL ASSISTANCE, SUCH AS RESUSCITATION FROM HOTNESS OVERLOAD OR SEXUAL TENSION FAINTING SPELLS, PLEASE SEEK OUT YOUR NEAREST D.O.D. REPRESENTATIVE. Whose POV is it anyway? Perspective is an amazing thing. Depending on where you set that perspective, you can completely alter a story. Those of you who are writerly types know what I’m talking about: the question of point of view. Generally, when hashing out ideas for a story, you come to a point where you need to decide what point of view (POV) in which to write. Will your story be in 1st person? What about 3rd? Will there be alternating POVs? A single POV? Or will it be some mish-mash of POV? This decision is just as important to the story building process as say plot or voice or even setting. When writing in 3rd person (limited or omniscient), you have the ability to show more of the world around the characters. For instance, Cassandra Clare writes in 3rd person for the uber awesome Mortal Instrument and Infernal Devices series. Why is this important? Because Miss Cassie can share details of the Shadowhunter world that we may not see if limited to 1st person. Being that she also writes in alternating POV, if we’re looking at the world through Clary’s eyes, we will only be able to experience things as Clary does. This isn’t always a bad thing, especially when trying to build tension, but when you have such a rich world, like the Shadowhunter world, why limit yourself? On the other hand, when writing in 1st, you can get into the character’s head more. When dealing with conflict, it’s sometimes harder-hitting when seeing it through the MC’s eyes. If your MC is totally freaked by something going on, you have the ability to really play up the emotional side of things in 1st person. Sure, you may be limited to what’s going on around the character, but if your story is more of an internal conflict for your MC, then you don’t need all the outside forces explained. It’s up to you and how you want your story to be told. At UtopYA Con, there was a panel discussion about this very subject. Raine Thomas, LM Davis, and Willow Cross were all panelists discussing how it’s all about breaking the rules with POV in YA these days. There’s no cut-and-dry way to write YA, no standard template that MUST be followed. This is a great thing! Many authors are testing the boundaries of POV in their writing. I think this is awesome! As long as there’s a reason for the way it’s done. If you just go about it all mamby-pamby style and write a POV wonky just for shits and giggles, then you need to be punched in the face. Well, maybe not that extreme, but your readers may want to. And that’s not a great thing. So whether you write solely in 3rd person like Cassandra Clare, or if you alternate your 3rd person per book like Raine Thomas, or alternating 1st person like Marie Lu, or even alternating 1st per book like Myra McEntire…it all works. As long as it’s the right decision for your story. Which do YOU prefer? Which side of the POV bubble are you on? Love 3rd person, but hate 1st? Work best when connecting to your characters through 1st person? What POV rules are YOU breaking? Posted on August 5, 2012 September 16, 2012 Categories BlogTags pov, UtopYA, writing, young adultLeave a comment on Whose POV is it anyway?